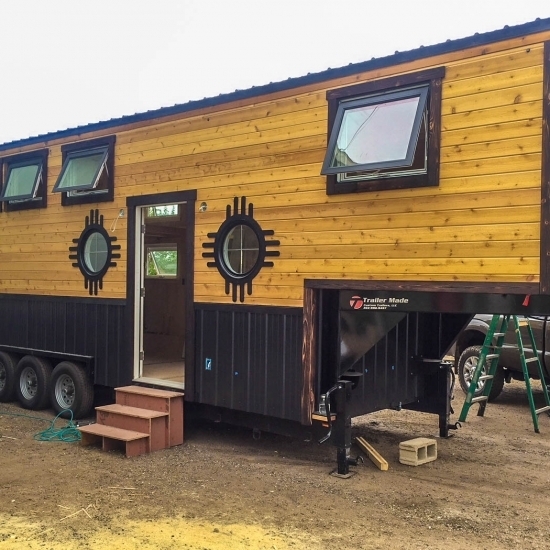 Often Tiny Home lovers come to us wanting to build their own home but have the wisdom to realize they don’t necessarily have the know-how and skills to build a sturdy, long-lasting structure. 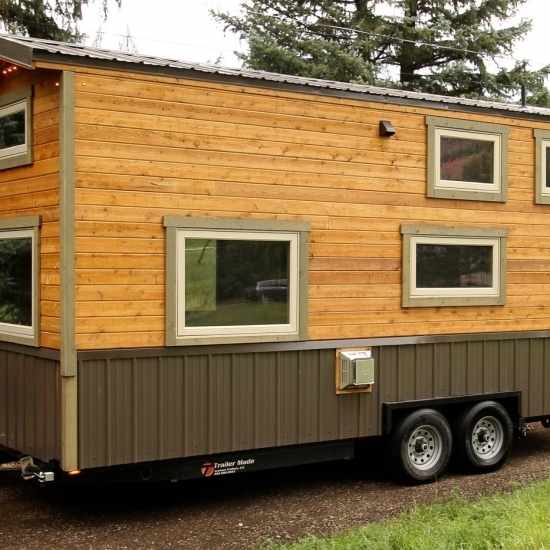 Building a Tiny Home on Wheels is not the same as building a backyard shed or even a normal home on a foundation. Kris and Betty were one such couple. We all came together to create a design for their home, we drew up the blueprints and began their Tiny dream home. SimBLISSity framed, sheathed, wired and insulated the Tiny, and installed siding, windows and doors. 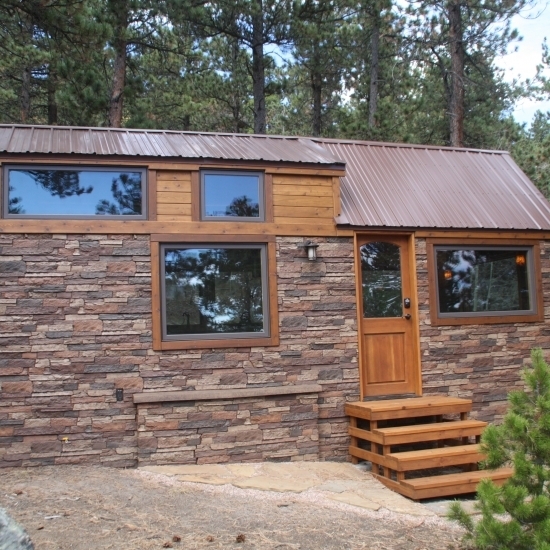 We assisted with the roofing and advised Kris and Betty on many aspects of the interior finishes. 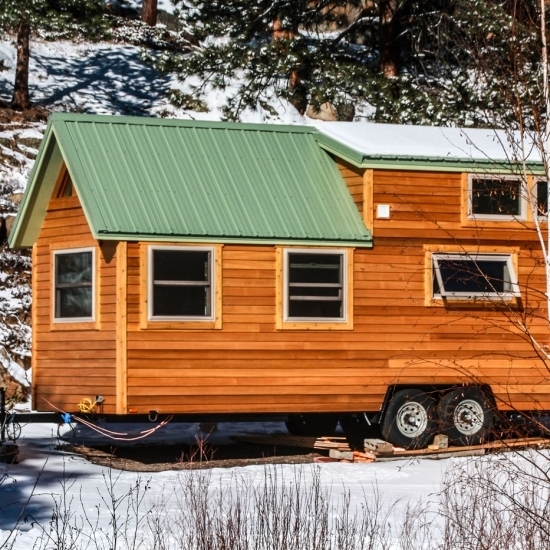 Their home was featured during the first season of Tiny House, Big Living. Since the interior is not a SimBLISSity creation, we do not have interior photos on file.